MILAN (Reuters) -- Fiat said it will halt production at its Pomigliano plant in Italy for two weeks in September and October because of weak car demand. The automaker will place workers at Pomigliano, where it makes the Panda minicar, on a temporary layoff scheme from September 24 to 28, and from October 1 to 5, a spokesman said on Wednesday. The company has already extended the factory's summer break by two weeks to adjust output to falling demand. Fiat and Chrysler CEO Sergio Marchionne's pledge to update the market on the automaker's investment plans on October 30 has unions concerned that the company may be preparing to postpone investment or even shut a plant. On July 3, Marchionne said Fiat will shut a plant, its second such move after closing a factory on the island of Sicily in 2011, unless the carmaker can come up with an economically viable plan to use excess capacity to build cars for North America. While Fiat's Chrysler business in the United States is profitable, Fiat is losing money in Europe like most other mass-market manufacturers. 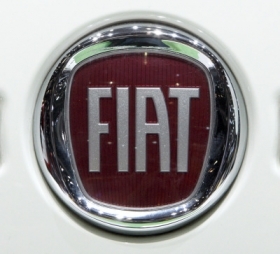 Sales of Fiat Group vehicles in the European and EFTA countries fell 16.5 percent to 456,191 cars in the first six months, according to data from the industry organization ACEA.